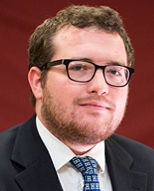 Nathaniel Brown is an associate editor at National Review Online. Mr. Brown has written on topics ranging from the Russian intervention in Ukraine to the statistical measurement of media bias. Prior to joining National Review, he worked for the Republican Study Committee, The Heritage Foundation, and Ballotpedia. Mr. Brown holds two degrees in Slavic Languages and Literature, a B.A. from Brown University and an M.A. from the University of Wisconsin-Madison. 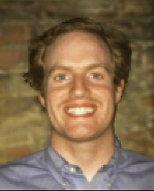 Spencer Case is a doctoral student in Philosophy at the University of Colorado at Boulder. As a Fulbright Student Grant recipient, Mr. Case traveled to Cairo, Egypt, where he studied Islamic philosophy. He previously served in the U.S. Army as military journalist and twice took a hiatus from his studies to deploy in support of the Global War on Terrorism. Mr. Case was first deployed to Iraq and then to Afghanistan. Mr. Case holds a B.A. in Philosophy from Idaho State University and an M.A. in Philosophy from the University of Colorado at Boulder. 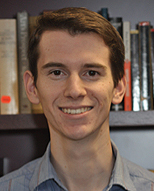 Michael Cowett is a research assistant at the Massachusetts Fiscal Alliance, Massachusetts’ largest conservative non-profit, which focuses on budgetary and good government policies at the state level. 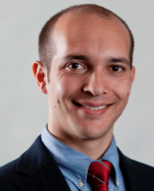 Mr. Cowett previously worked as a campaign manager during a 2014 special election for the Massachusetts House of Representatives. In 2012, he was the youngest member elected to the Massachusetts Republican State Committee. As an undergraduate, Mr. Cowett was editor-in-chief of the Harvard Salient and the co-president of the Harvard Classics Club. Mr. Cowett holds a B.A. in Classics from Harvard College. 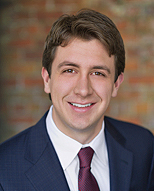 Max Eden is program manager of the Education Policy Department at the American Enterprise Institute (AEI), where his work focuses on higher education, education reform, and Common Core. Mr. Eden's articles have been published in the Washington Post, Weekly Standard, National Review, and the Washington Times. He previously served as a research assistant at the Ethics and Public Policy Center and as a researcher for Tom Cotton’s 2012 congressional race. In 2010, Mr. Eden was a Hertog Fellow. As an undergraduate, he was on the Model United Nations team and was an online editor for the Yale Herald. Mr. Eden holds a B.A. in History from Yale. Chris Gaarder is the co-editor-in-chief of the Claremont Independent. Under Mr. Gaarder's leadership, the Claremont Independent’s web traffic quadrupled in size, and its stories were picked up by National Review, Newsweek, and the Washington Post. He has interned for the Claremont Institute, California State Senator Bob Huff, Karl Rove & Company, and U.S. Representative Ed Royce. Mr. Gaarder served as an Arthur R. Adams International Fellow at the Keck Center and a research assistant at the Salvatori Center in Claremont. Mr. Gaarder holds a B.A. in International Relations and Government from Claremont McKenna College. 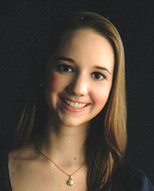 Alexis Knutsen is an analyst at the Critical Threats Project at the American Enterprise Institute (AEI). Ms. Knutsen's current work is on national security threats from al Qaeda in the Gulf of Aden, North Africa, and West Africa, with a special focus on Yemen and al Qaeda in the Arabian Peninsula. Her work on al Qaeda in the Arabian Peninsula and the al Houthi movement in Yemen has been published on AEI's blog, AEIdeas, and on National Review Online. In her home state of Kansas, Ms. Knutsen founded a non-profit English class designed for Middle Eastern women who felt more comfortable learning English from other women. Ms. Knusten holds a B.A. in Classical Languages from the University of Kansas. 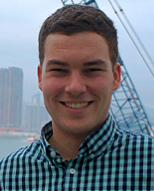 Moritz Mücke is a master’s student at the Van Andel Graduate School of Statesmanship at Hillsdale College. Mr. Mücke previously served as contributing editor of the A Journal, a monthly magazine for students of the Institute of English and American Studies at Goethe-University. He recently published Professor Bloom's Delight on the Right: American Conservatism and The Closing of the American Mind, a study of the influence of Bloom’s The Closing of the American Mind on American conservative thought. Mr. Mücke holds a B.A. in American Studies from Goethe-University of Frankfurt, Germany. William Pack is a graduate of St. John’s College in Annapolis, MD. Mr. Pack's senior thesis, “The Language of Leadership: Hal’s Study of Rhetoric through Relationships in Henry IV Part I,” explored the political and military leadership of Shakespeare’s Prince Hal. 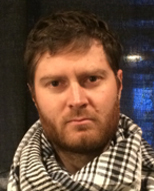 He previously worked as a production assistant at Manifold Productions, where he assisted in the production of Rediscovering Alexander Hamilton and The Last 600 Meters, a documentary on the two biggest battles of the Iraq War. Bradford Richardson is editor-in-chief emeritus of the Claremont Independent, where he wrote on education, economics, political diversity, and freedom of speech. Mr. Richardson's articles have been mentioned in National Review, Newsweek and the Daily Caller. He is a recipient of the Edward J. Sexton Fellowship, a highly competitive fellowship that gives students the opportunity to take select philosophy, politics, and economics courses with distinguished professors in an individual, tutorial-style classroom setting. Mr. Richardson previously worked as a staff journalist with the Colorado Observer and is now pursuing a career in journalism. Mr. Richardson holds a B.A. in Philosophy, Politics, and Economics (PPE) from Claremont McKenna College. Serena Sigillito is the managing editor of Public Discourse, the online journal of the Witherspoon Institute. Ms. Sigillito has contributed articles to Public Discourse, National Review, and Aleteia. Prior to working at the Witherspoon Institute, Ms. Sigillito was a research associate at the American Council of Trustees and Alumni, where she conducted research on higher education reform. Ms. Sigillito holds a B.A. in English from the University of Dallas and an M.A. in English from the Catholic University of America. 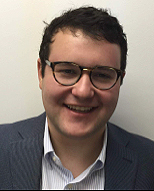 Benjamin Silver is an assistant editor at National Affairs, where his work focuses on domestic politics and public policy. 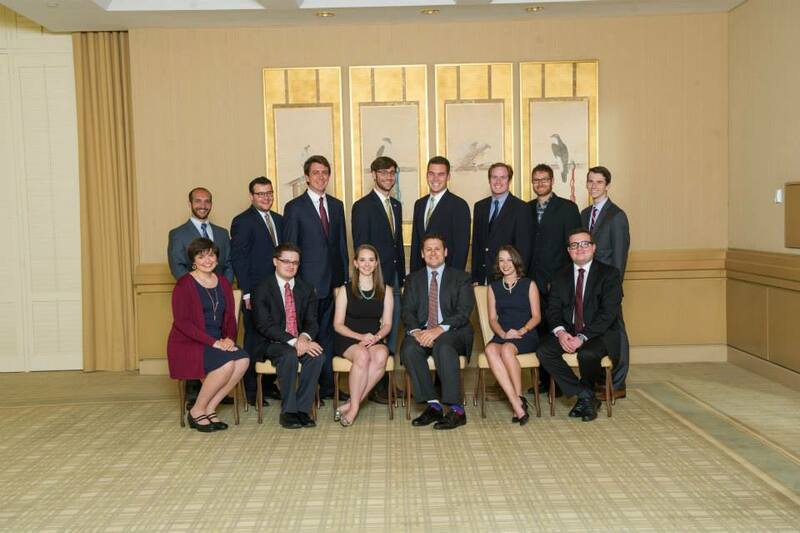 Mr. Silver has been a Hertog Fellow and a Summer Fellow with the Tikvah Fund. His writing has appeared in the Weekly Standard, Commentary, and Mosaic. 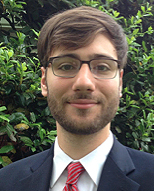 As an undergraduate, Mr. Silver was a recipient of the Lee Family Undergraduate Essay Prize. Mr. Silver holds an A.B. in Philosophy and Political Science from the University of Chicago. 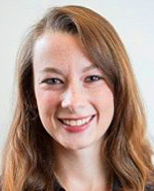 Heather Sims is a research assistant in the Political Corner at the American Enterprise Institute (AEI). 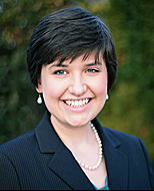 Ms. Sims writes for AEI’s monthly public opinion newsletter, Political Report, and has co-authored several of AEI’s Public Opinion Studies on topics that include: patriotism, gay marriage and homosexuality, economic insecurity, torture, abortion, taxes, the environment, and trade. Ms. Sims also co-authored the ebook Is the American Dream Alive? Examining Americans’ Attitudes. Ms. Sims holds a B.A. in Political Science from Davidson College. 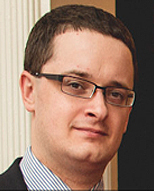 Ian Tuttle is National Review’s William F. Buckley Jr. Fellow in Political Journalism. Mr. Tuttle has been featured in the University Bookman, the New Criterion, and First Things, and has appeared on The O’Reilly Factor and Al Jazeera America. As an undergraduate, Mr. Tuttle was co-editor-in-chief of his campus newspaper, the Gadfly, campus literary journal, Energeia, and the Epoch Journal, a global news and culture quarterly. Mr. Tuttle holds a B.A. in Liberal Arts from St. John’s College. 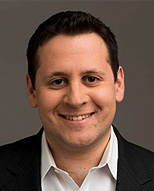 Ben Weingarten is publishing manager and editor of TheBlaze Books, host and producer of TheBlaze Books Podcast, and a frequent TheBlaze.com contributor. Mr. Weingarten work focuses on defense, economics, politics, and history. Prior to joining TheBlaze he worked as a financial advisor specializing in bankruptcies and restructurings. Mr. Weingarten has contributed to the Breitbart sites, The Federalist, the Ludwig von Mises Institute’s Mises Daily, and Zero Hedge. His work has been highlighted at Conservative HQ, the Daily Caller, the Drudge Report, HotAir, Instapundit, Legal Insurrection, SteynOnline, and RealClearMarkets. Mr. Weingarten holds a B.A. from Columbia University in Economics-Political Science.